The second day of the Social Shake-Up conference in Atlanta, Georgia, began with another empowering speech from Robin Carey, the CEO of Social Media Today. 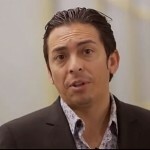 As the host of the conference, she wound the audience up for the second day of talks, and introduced the well-known keynote for Tuesday, Brian Solis. 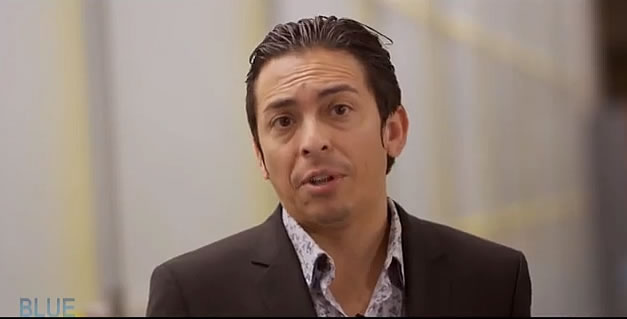 As the author of “What’s the Future of Business,” and a principal analyst at the Altimeter Group, Brian Solis is a thought leader in the world of digital marketing. His experiences have given him significant cloud in the industry, and in his speech he sought to impart some of his wisdom to business leaders who want to survive and thrive in the modern tech-laden world. The rapid progression of technology – both in society and business – provides numerous opportunities for marketers and social entrepreneurs. 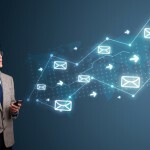 The challenge, however, is getting the decision-makers at your given enterprise to sign on to campaigns that are focused on digital pushes and online consumer habits. Solis noted that many times strategists talk about technology without having any idea what it actually did or how it affected the business. “Clients didn’t understand technology, despite spending millions of dollars on it,” said the marketing visionary. He added that they often focus on the features and specs of the specific products without understanding the benefits. Part of the reason that people can’t get executives to sign on to the importance of social media campaigns and new technology is that issues like ROI still come up in these conversations. Solis noted that this concept shouldn’t apply to modern marketing, and because it currently does, marketing will always be viewed as a silo instead of part of the overall business. This type of mentality tends to stunt progress within an organization, and can limit the future growth of a business. “If you don’t push forward, more people will push back,” said Solis, describing a snowboarding analogy that he found applicable to marketing and the modern business. Many people who come from a skateboarding or surfing background and then try to snowboard will think that these are very similar activities. Because of this mentality, they will try and lean back while snowboarding, which will lead them to fall. Once they get help, they learn that leaning forward is the solution to their falling problems. Marketing is the same way, as people are simply leaning back. They take new products and advances and apply them to what is familiar instead of carving out a new space for the technology or processes. “Essentially we are just broadcasting and talking at people in a new medium instead of taking advantage of the technological advances,” Solis told the crowd. This will lead to long-term failure for modern companies, as businesses that can’t demonstrate the value they bring to consumers will see these people look elsewhere for value. Defining value to customers is imperative, but many brands have the same persona on social media networks and are essentially indistinguishable from their competitors. The oft-asked “Would you recommend us?” needs to be replaced with “Did you recommend us?” – which should be followed up with a why or why not question. There is a shared experience value to the modern customer experience, and despite brands investing in the right social media listening tools, they are often only looking at sentiment. The shared experience aspect is more important – marketers need to pay attention to the brand promise and ensure that everyone who consumes their products and services has been fulfilled in this regard. Some marketers have found that C-suite members think this “social media thing” is a “fad” or is simply going to “go away.” This is dangerous thinking, and the successful brands will be those that can break down this barrier and eliminate this line of thinking. “Customer service [through social media] needs to be part of the business – not a different area – you are missing an opportunity by not bringing these groups together – you can anticipate things based on customer service and failed or successful moments of truth,” said Solis. The CEO of the future needs to be a leader, not a manager. Part of this leadership comes from listening to marketers with regard to the customer experience. However, part of the responsibility lies with the marketers themselves. “Executives don’t understand this, as you need to show them how the customer is evolving – digital darwinism – show the executives that the investments made by the business need to stay with this progression, not get left behind,” Solis said with a smile, adding that the audience members are the ones who can begin to initiate this change.